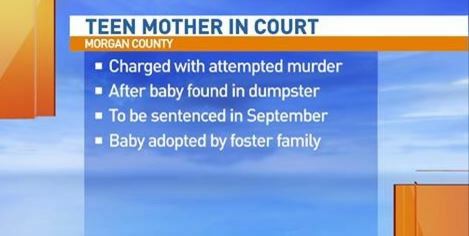 A Jacksonville, IL teenager has please guilty to first degree murder for abandoning her newborn baby boy in a dumpster back in August 2014. Sentencing for the teenager is scheduled for September. Luckily, the baby survived, was adopted by his foster family and is doing well.